The second of three books published by the Center for Environmental Structure to provide a working alternative to our present ideas about architecture, building, and planning, A Pattern Language offers a practical language for building and planning based on natural considerations. The reader is given an overview of some 250 patterns that are the units of this language, each consisting of a design problem, discussion, illustration, and solution. By understanding recurrent design problems in our environment, readers can identify extant patterns in their own design projects and use these patterns to create a language of their own. Extraordinarily thorough, coherent, and accessible, this book has become a bible for homebuilders, contractors, and developers who care about creating healthy, high-level design. 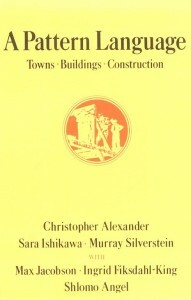 This volume provides the opening work in Christopher Alexander's seminal trilogy on architecture (continued in A Pattern Language and The Oregon Experiment). Here he provides a fascinating introduction to the ideas behind the succeeding two books.